So what do you do when you have a new summer dress that you’re desperate to wear but it’s just too darn cold to wear it? Layer it, of course! 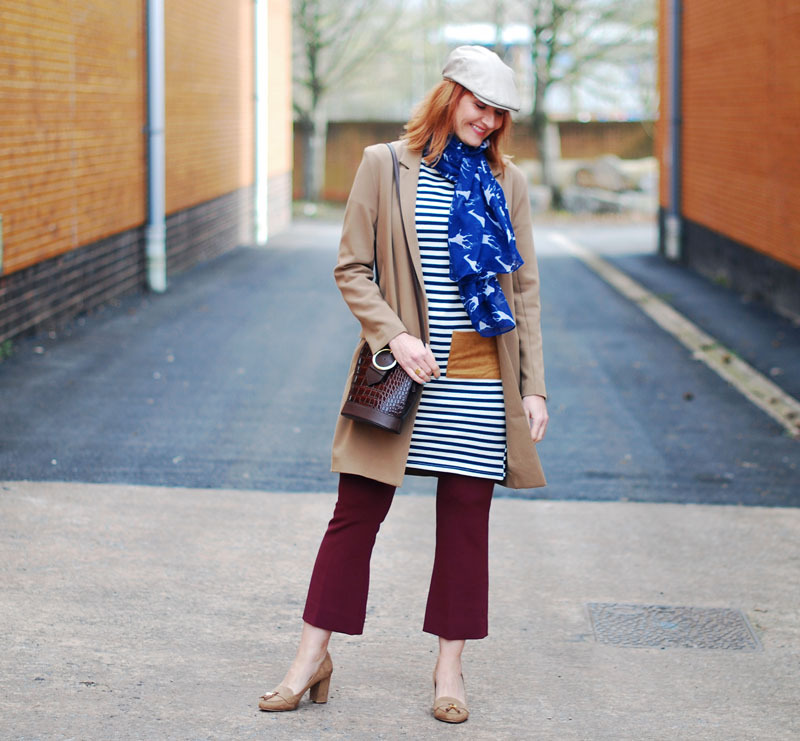 I may not like to admit it, but I do like dressing for these transitional seasons – when you get some much milder weather as we had in the UK over the weekend (low to mid teens! woo-hoo!) 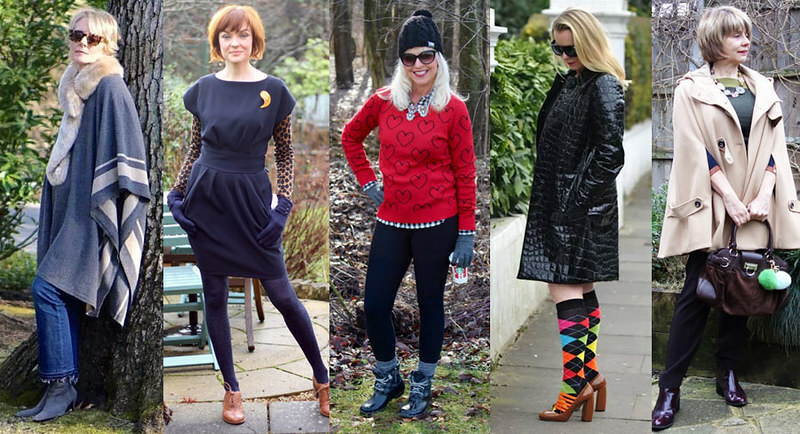 you know it’s time to ditch the hats, scarves, gloves and three pairs of socks… At last. 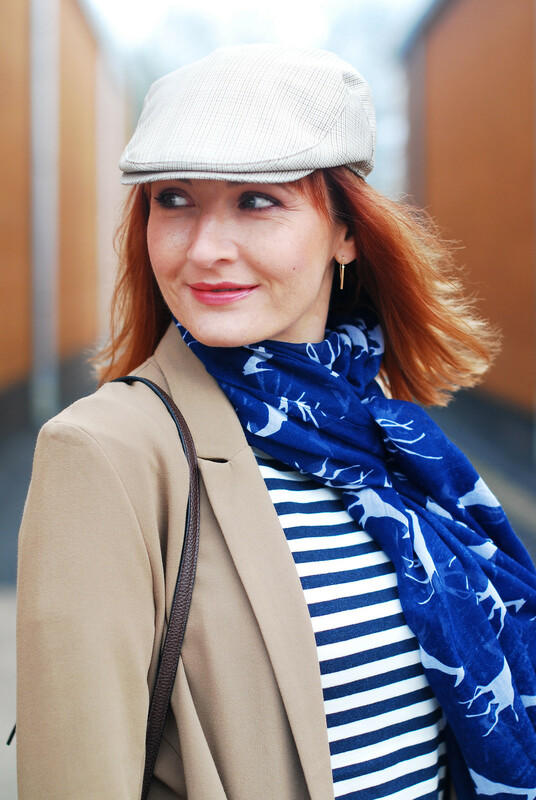 However I still stuck with a scarf (albeit a light one with a giraffe print, the real-life versions of which I’m crazy about) and a hat (flat cap) – you just can’t make a hat girl go bareheaded, you know…! The stripe tunic dress was gifted and I have to admit I didn’t think I’d be wearing it for a while yet, but the pockets spoke to me and told me to go with my fallback style of dress over trousers (yes, they really did speak – when they’re patch pockets and a contrasting colour they do that sort of thing, I promise you). 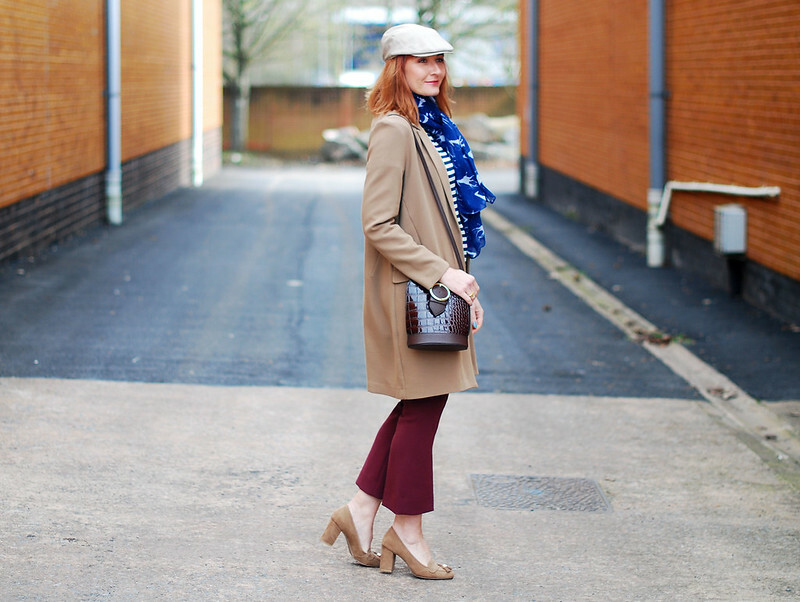 My burgundy kick flares have been the layering masterpiece I knew they’d be when I first got them in the autumn. They are currently on sale from £110 down to just £30 at Jaeger: I can’t stress enough how perfect they are for layering with dresses, so go grab yourself a pair! They’re available in black too (£40), PLUS Jaeger are offering an extra 20% off sale items at checkout (see my last post for more shopping discounts I wrote about), so hurry…! 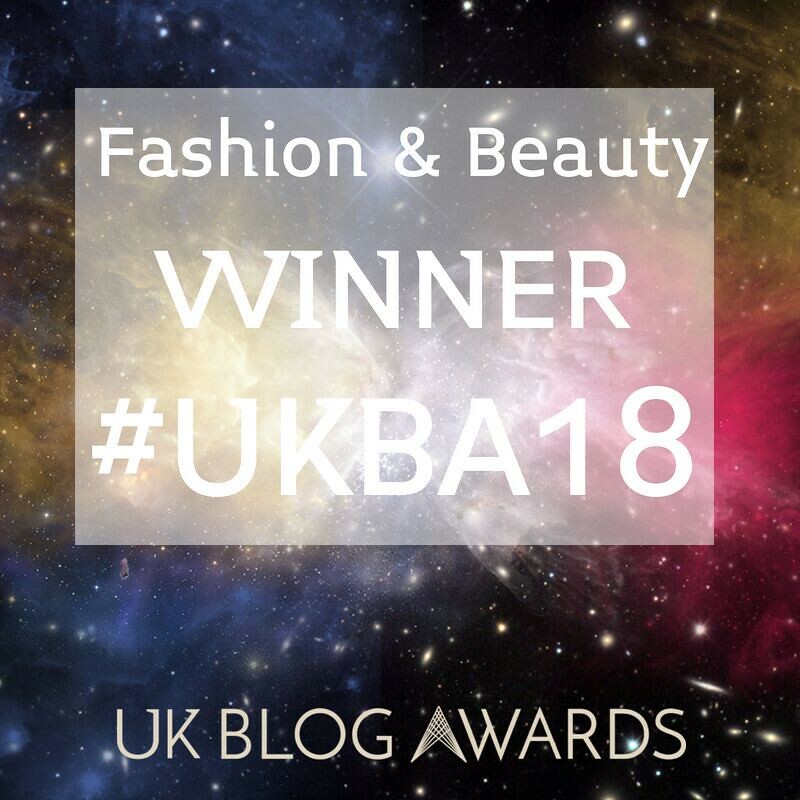 It was mild enough to only need my trusty camel longline blazer (similar) which luckily was the perfect length to wear over the dress – if it had been a little shorter rather than a little longer the whole look wouldn’t have worked. But it was, and it did, so it was just a case of some comfy heeled loafers (similar) and a Carrie Bradshaw-style flat cap and I was good to go…! 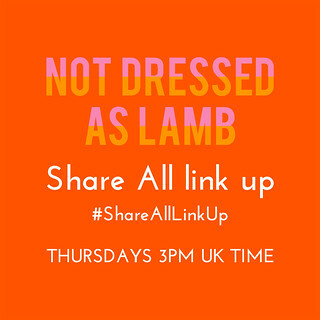 Do add your outfits to this week’s link up and if you’ve added a link to here or my button to your post you may be featured next week! ARE YOU STYLING ANY SUMMER PIECES ALREADY IN THIS TRANSITIONAL SEASON? COMMENT BELOW, OR TAKE IT TO TWITTER @NOTLAMB! (L-R) Style Nudge | Fake Fabulous | Living On Cloud Nine | The Sequinist | Is This Mutton? Hi, thank you so much for all your wonderful information. Since I live in the opposite hemisphere (Australia), is there an archive area on your site so that i can read past posts about the opposite seasons? Warm regards from Melbourne which was a wet and cold 14 degrees today. Catherine, although I do not have many striped garments, I do love the shift dress and this is styled fabulously. 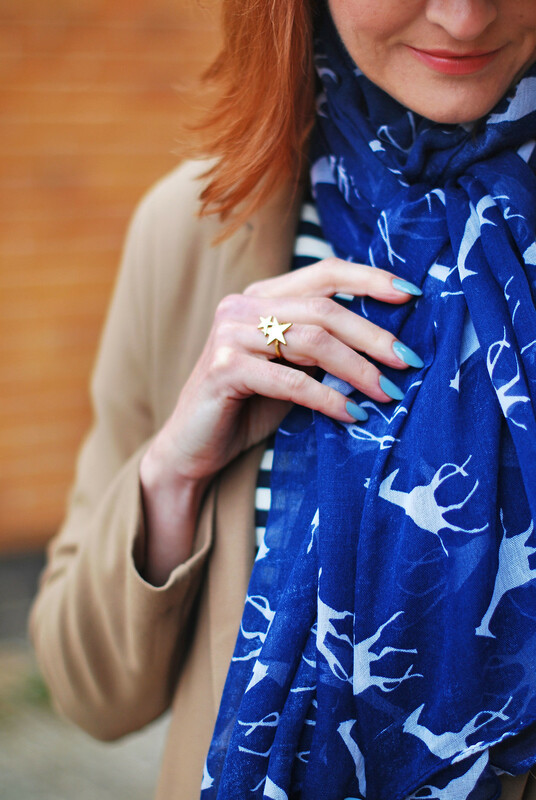 Love the cobalt print scarf on you as the color is perfect with your complexion! Oh Catherine this is so chic and I absolutely love your culottes and that fun ring. Pinned! 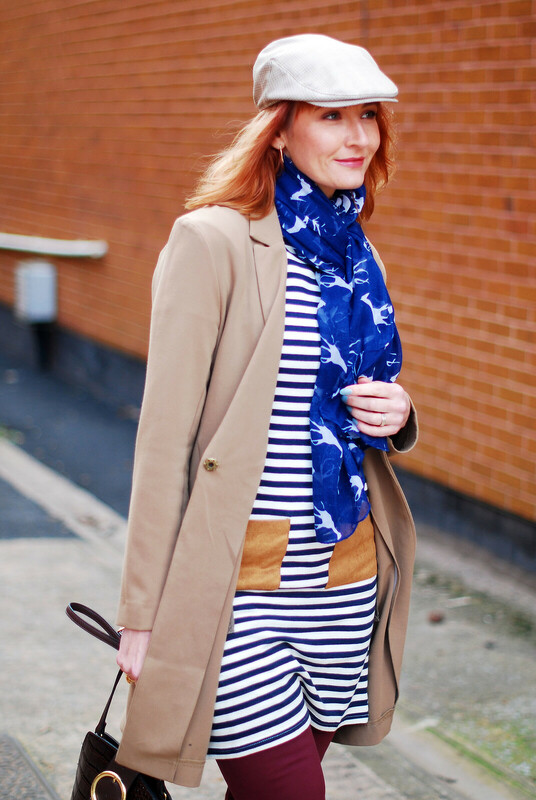 Such a fun and great way of layering and wearing summer pieces in the cold weather. Love it. You my friend, are the undisputed queen of layering dresses over pants! Love it! I always get itchy style feet this time of year! 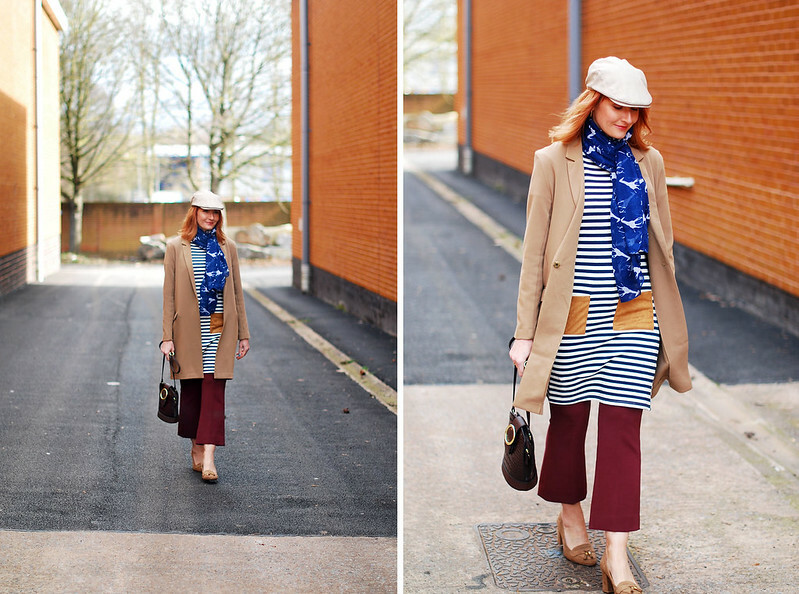 Wanting to wear those lighter and brighter spring pieces…and nothing says spring like a breton. These layers of loveliness are chic, practical and fresh. Injecting some optimism into a February day….. I love it! 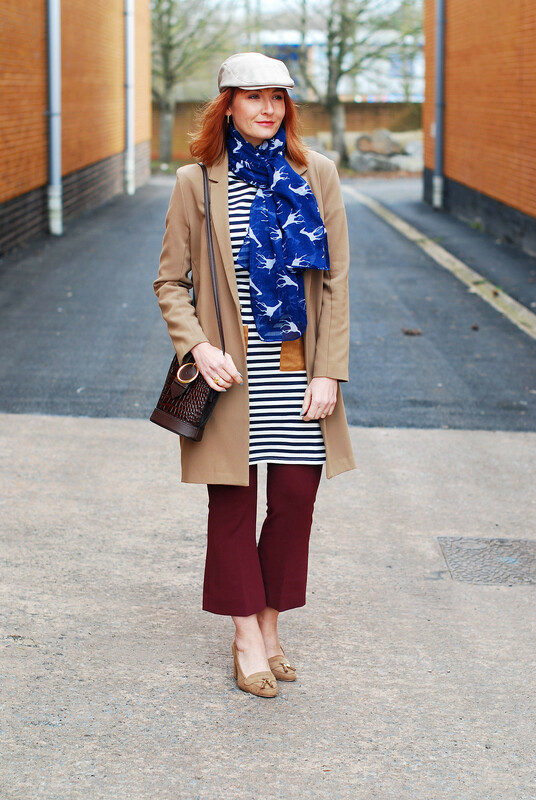 The whole look is a masterclass in pattern and colour mixing. Fabulous look. Your use of a warm weather dress as a tunic in cooler weather is so clever and the combination of colors is brilliant. Thanks for sharing and for the link up. 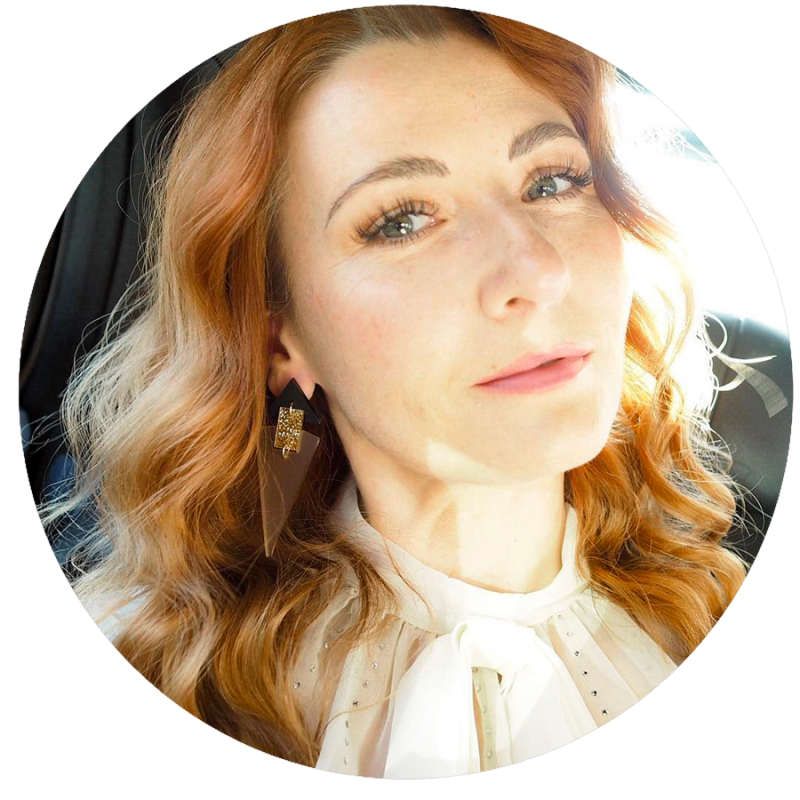 Thanks for the link up party Catherine and also for featuring me on your #best of… pinterest board – very kind of you. I know how you feel – I'm just itching to get some spring/summer clothes out, but the weather is hardly reliable yet is it? The contrasting pockets on that dress are a winning feature. And those trousers look fab too. All so tempting, but I'm a purchase free zone currently. I'm shopping my closet until April which is a challenge and fun too. Love the pockets, great outfit! I love a good stripe, so this dress hits the spot. I especially love those contrasting pockets on it. Most of my warm-weather clothing is in storage so it's difficult to be free-handed but sometimes I'll pull something out special, if it calls to me. Thanks for the linkup. Love how you put this all together!! 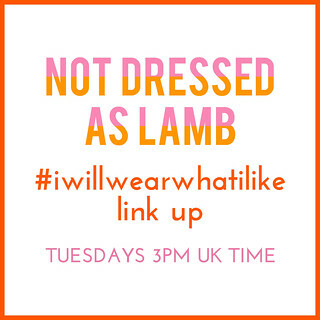 I'm wearing a stripe dress in my link-up as well! Mine, however, is too warm for SoCal summers. It's super versatile though! 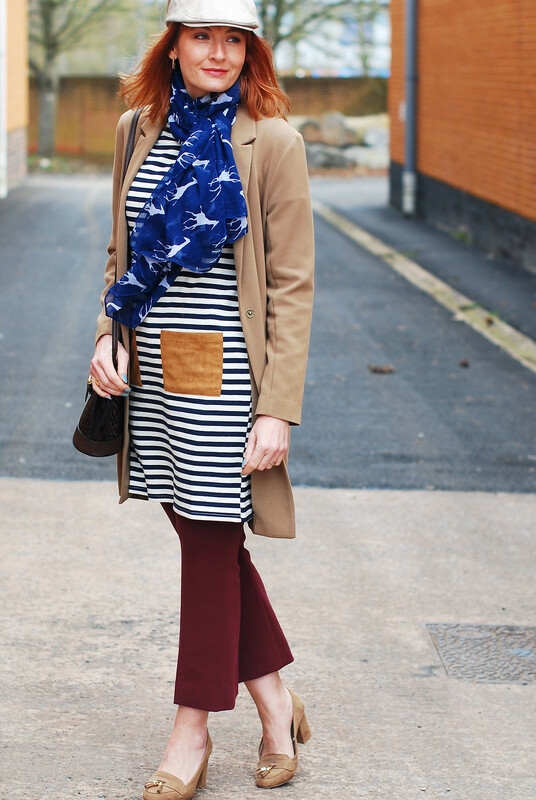 That giraffe scarf is very sweet! Thanks for the link up & have a wonderful week!